Goshen and Monroe drivers rarely pick the 2016 Mazda3 over the 2016 Honda Civic, and it isn’t hard to see why. The Civic is at the top of its game after a complete redesign for this year, excelling in terms of power, efficiency, and technology. 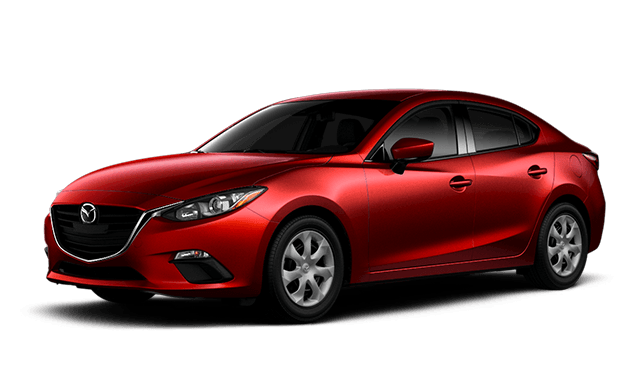 The new Mazda3 is still a solid sedan, but it can’t realistically hope to rival with the 2016 Civic. 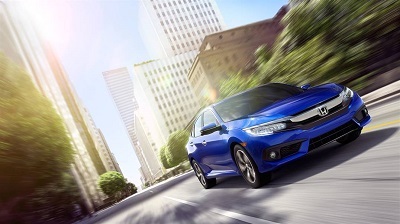 LX: Even the entry-level Civic comes with an impressive array of features as standard, such as a 5-inch color LCD screen, LED daytime running lights, electric parking brake, and even a multi-angle rearview camera. EX: The EX model is perfect for adding a few extra features without greatly increasing your starting price. Drivers will find a one-touch power moonroof, Honda LaneWatch feature, and 7-inch electrostatic touchscreen included as standard. EX-T: For a high-performance ride, Goshen and Monroe drivers can opt for the EX-T model. It packs a heartier punch thanks to its turbocharged 1.5L engine, and also adds dual-zone climate control and heated front seats. EX-L: The EX-L is all about first-rate comfort. Your driver’s seat features an 8-way power adjustment function, your steering wheel is leather-wrapped, and all seats are finished in a rich leather trim. Touring: Touring models are thoroughly impressive thanks to a range of Honda Sensing driver assistance technologies, heated outboard rear seats, and a 450-watt 10-speaker premium audio system. i Sport: Features 16-inch steel wheels, a 60/40-split folding rear seat, air conditioning, and a tilt-and-telescoping steering wheel. i Touring: Adds keyless ignition and entry, a rear lip spoiler, and fog lights as standard. s Touring: Comes with paddle-shifters for your transmission system and 18-inch aluminum-alloy wheels. s Grand Touring: Provides bi-xenon headlights, leather-trimmed seats, and an auto-dimming rearview mirror. 2.0L Four-Cylinder: Makes an impressive 158 hp for an agile, responsive drive, plus the ability to make up to 27 mpg in the city and 40 mpg on the highway* with a six-speed manual transmission or 31 mpg city and 41 mpg highway* with a continuously variable transmission (CVT). 2.0L Four-Cylinder: Generates 155 hp, but allows for only 30 mpg in the city and 41 mpg on the highway. 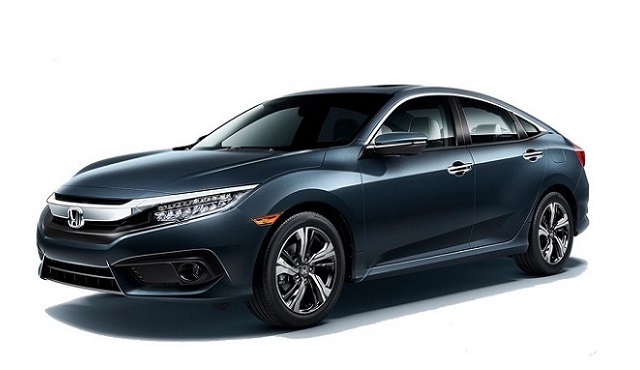 2.5L Four-Cylinder: Offers slightly more power than the Civic with an output of 184 hp and 185 lb-ft of torque. However, efficiency falls to just 28 mpg in the city and 39 mpg on the highway. 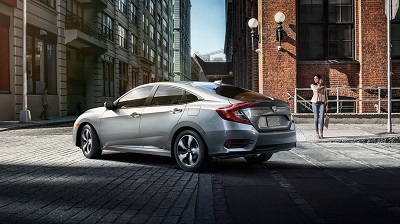 This is the first 10th-generation model of the Civic, and the design team over at Honda have clearly gone above and beyond when it comes to providing Goshen and Monroe drivers with a thoroughly modern cabin. Materials are all of a high-quality — even in entry-level models — and the layout is intuitive and understated for a sleek appearance. However, the Civic never lets practicality take a back seat. For example, it comes with 15.1 cubic feet of trunk space. 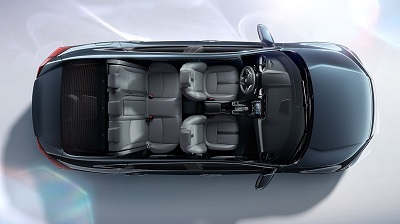 That’s impressive all by itself, but even more so when compared to the confined 12.4 cubic foot trunk of the 2015 Mazda3. The 2016 Honda Civic complements its high-end interior with high-end technology, providing plenty of features than cannot be found in the relatively outdated 2016 Mazda3. 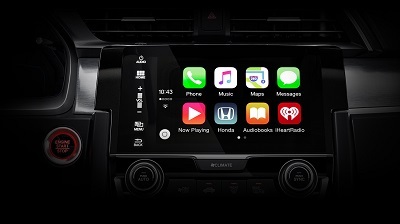 Apple CarPlay®/Android Auto™: You can sync your smartphone to the vehicle, then send messages, play your music, or use a growing selection of apps on the 7-inch display audio touchscreen. Heated Rear Seats: The 2016 Mazda3 only allows heating of the front seats, but the Civic extends that year-round comfort to the rear outboard passengers. Multi-Angle Rearview Camera: The Civic includes a special rearview camera that offers three viewing modes: top down, wide, and normal. If you want a comprehensive view while backing up, those options become a godsend. Few vehicles could compete with the 2016 Honda Civic, and the 2016 Mazda3 is certainly not one of them. For more information, don’t hesitate to contact Middletown Honda today.